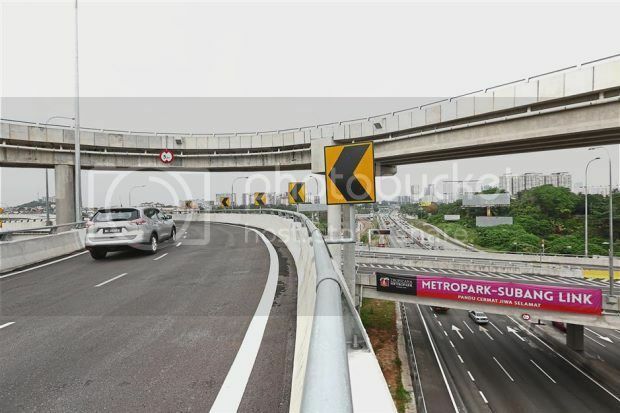 This 1.6km purpose-built RM106 million link which was opened to motorists on Aug 15, connects the Federal Highway to Tropicana Metropark’s doorstep. The developer is forced to build this link in order to easily sell its high priced properties in this new 88 acre of mixed delopment comprising of residential, commercial, educational and healthcare township. 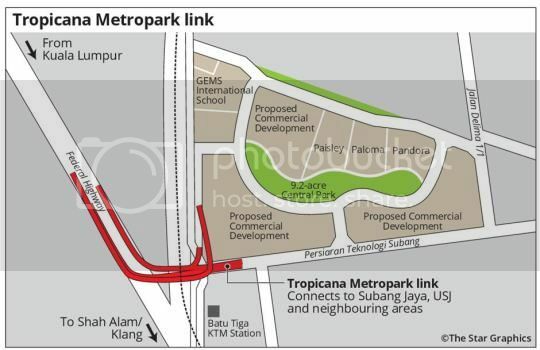 Those living in USJ Heights and Subang Heights nearby should be on thankful for this God sent link where they can enjoy a shortened 2.5km distance and a reduction in travel time on their daily commute of between 15 to 20 minutes on a good day but close to 40 minutes or on a bad day to the Federal Highway. Unfortunately it is meant for those heading towards and from KL as there is no link towards Shah Alam. Since it is so new, you can't locate it on Google map but for those using navigation apps like Waze, you will be able to navigate there.